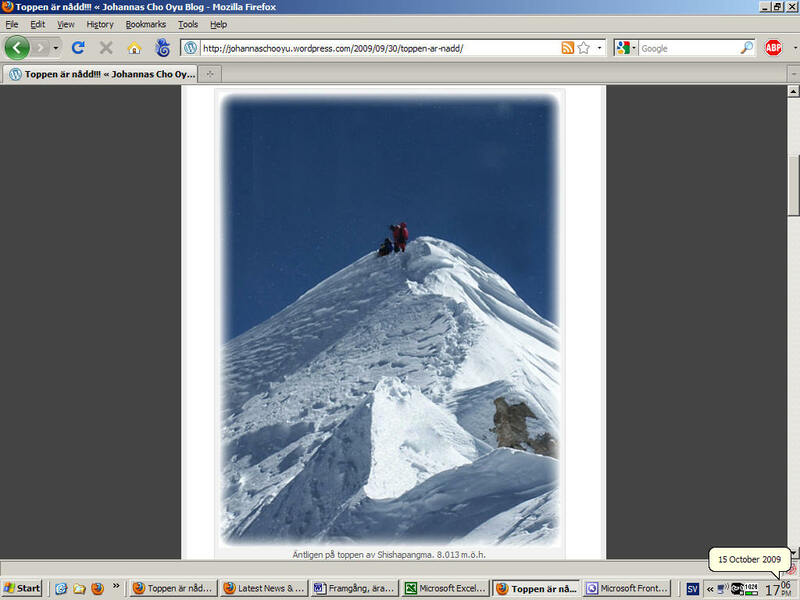 Himalaya 2010 climbing season, Karakoram and Himalaya wrap-up /2/ – Week in Review. This early Week-in-Review is to alert about Reid Stowe’s amazing Mars Ocean Odyssey, about to hit 1000 days Saturday, January 16. In other news: new routes underway in winter Himalaya, a tech report at ExWeb, a number of interviews, a Dhaula anniversary special, and another claim debunked at Antarctica where Cecilie & Ryan hit The Devil’s Dance Floor. Mars Ocean Odyssey update: Mission accomplished, systems update and Mars rules The old sails are worn out, his last laptop broke down on day 970, but his hull, the mast, the rigging and electrical system are all holding up great. He’s got spares and plenty of food – there a valuable lesson for future Mars astronauts. “With hard work on every level and a whole lot of love, it is possible for normal people to achieve what has never been dreamed of,” Reid Stowe further said as he was nearing 16 January 2010; a 1,000 days at sea without touch of land or taking any resupplies – an astonishing world record. Two back-to-back events will be held Saturday to celebrate while Reid will be staying out, returning to New York City propelled by summer’s calmer winds middle of June. Kwande Lho expedition is on: no pasta, chicken or women for winter climbers David Falt and Vassiliy Pivtsov are about to attempt a new route on Kwande Lho’s technical north face (6187m). “We asked for pasta at the lodge but were told that pasta, chicken and girls were all out since the season was finished,” wrote David from a deserted Namche Bazaar. Currently expected to have reached BC, “we hope to be ready for a summit attempt around Jan 20th,” David estimated. 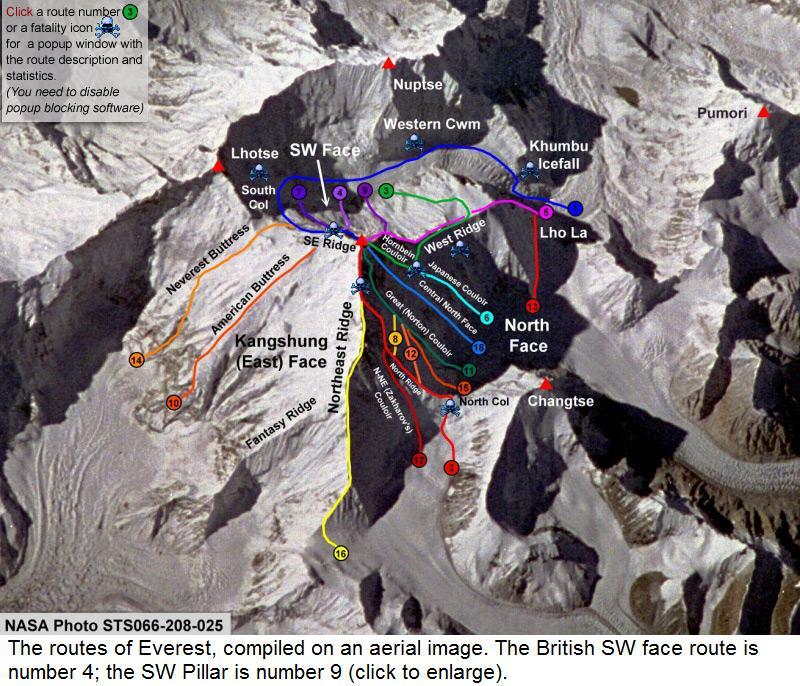 “If conditions looks too thin on our targeted route, we will attempt the second ascent of 1982’ Breashears-Lowe route (ED2, WI6, 1200m),” the team said. Ozturk and Richards for a new route on winter Tawoche Renan Ozturk and Corey Richards are aiming for the unclimbed South Central Buttress on Tawoche (6501m). “Tawoche in all her glory rises above us another 5,000ft. With the view, comes the all too familiar rollercoaster of emotions that precede any alpine endeavor. Balancing fear and intuition, angst and energy, the action vs. the idea…,” they dispatched from BC. 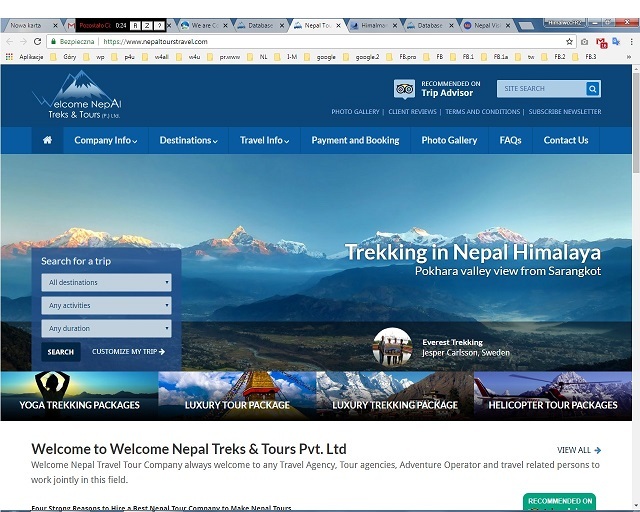 1960-2010: Dhaulagiri 50 years anniversary special It was expected to become the first 8000er “conquered” by man. But in 1950 French pioneers decided that Dhaulagiri was impossible to climb. It would take another ten years, five failed attempts, and climbs of all nearby giants before an Austrian team proved them wrong. Check out ExWeb’s Dhaula anniversary special and top 4 reasons to fear the White Mountain. Monster slide in Pakistan’s Hunza Valley With 50,000 victims already buried; the terrible quake disaster in Haiti brings to mind the 2005 earth quake in Pakistan, in the end claiming 75,000 lives. Another natural disaster hit the country last week: a massive landslide swept four villages in Pakistan’s Hunza Valley, dammed up the Hunza river with a severe risk of flooding, cut off parts of KKH and left tens of thousands to survive the winter without supplies. The Dome: 1974 – 2009. The prominent feature at the destination of the South Pole skiers has been deconstructed during this 2009-10 South Pole season. Working on a project higher up on the Plateau, in December AGAP scientist Guy Tytgat witnessed some of the stages of deconstruction. “Between the time I came in (2nd week of Dec) and now, I got to see how much they removed of the Dome,” he told ExWeb, “They took Skylab down in 3 days!” Where will it all go? Some to museums and some is still a mystery. Check the full report and images at ExplorersWeb. Antarctica wrap-up: Canuck Everest climber Meagan McGrath is in the last degree to the South Pole in spite of chest infection. Cristian Donoso, and Sebastian Roca (climb, ski and kayak) reported crevasses, winds and dense fog. News sources reported incorrectly that 17-year old British Katie Walter “became the youngest person to ski to the South Pole” and “broke 18-year-old Canadian Sarah McNair-Landry’s record set five years ago”. Walter in fact covered more than 80% of the route in an airplane. Sarah McNair-Landry thus remains the youngest person to ski to the South Pole. Debrief: Queen Maud Land ski and climb expedition; 11 first ascents Led by veteran polar explorer, UIAGM-mountain guide and geographer Christoph Höbenreich; the first ever Austrian skiing and mountaineering expedition to Queen Maud Land bagged 11 first ascents out of 15 peaks during their November/December 2009 expedition on Antarctica. 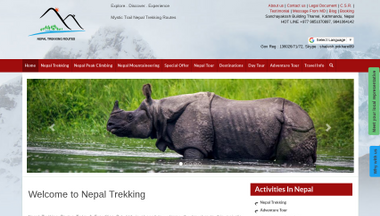 Check the debrief and amazing pictures at ExplorersWeb. Travel in Shackleton’s footsteps Christoph is headed to South Georgia next, to lead a South Georgia Island 5-day (45 km) crossing in Shackleton’s footsteps. This one you can join! Scheduled 18 October to 4 November 2010 (45 km) participants will travel with Oceanwide Expeditions’ ship, MS Plancius, from Montevideo to Ushuaia (South America) and from there to the island of South Georgia, only accessible by boat. This route has been done several times before, including by well-known climbers Reinhold Messner, Conrad Anker, Steven Venables, Colin Monteath and Dave Hahn. For more information contact Christoph: christoph.hoebenreich(a)aon.at. ExWeb interview with Shaun Quincey, “As long as I beat Dad’s record on the Tasman Sea I am happy” In 1977, Colin Quincey crossed the Tasman solo, rowing 2200 km from Australia to New Zealand. He remains the only person to cross the Tasman solo and survive. Now his son, Shaun Quincey (25), is ready to row the reverse direction, solo in his father’s footsteps. ExWeb’s Correne Coetzer caught up with Shaun in Australia for a chat. ExWeb interview with Colin Quincey, “Plan, plan, plan and then give it your best shot” It was 1977 with no GPS or iPod; he navigated with a sextant, sang songs and did maths while rowing across the Tasman Sea for 63 days. ExWeb next caught up with dad Colin to compare now and then. ExWeb interview with Kelly Bush: Walk across America “2900 miles of lugging a backpack is what it boils down to.” On February 3, American Kelly Bush will start walking across America; from Los Angeles to New York City. Walking in aid of a charity set up in memory of a friend who took his own life, the Wounded Warrior Project, and “kind of practice for next November”, he told ExWeb’s Correne Coetzer that the plan is simply: “Walk… Walk… Walk…” Expect plenty of live route reports; born in 1981 Kelly is an Information Technology Consultant in Nashville, TN. ExWeb 2010 CES report: Life’s Good – here’s your new LG TV “You can never be too rich or too thin” pretty much wraps the 2010 Sin City consumer electronics show. The future will also come to who has the best touch and biggest bandwidth. But who’ll be the first to film Everest in 3D? And while simplifying is good, there is a thin line between that and downdumbing. Check out ExWeb’s 2010 CES report, also including disappearing acts worthy of a Las Vegas magic show. Banff Mountain Film Festival World Tour Teaser Video. The trailer for the Banff Mountain Film Festival World Tour hit the web today and it has some of the most amazing, and inspiring, images of nature and outdoor adventure that you could hope to find anywhere. You can scope it out for yourself below and then head over to this page to find out when the films will arrive in your area. Thanks to Best Hike for pointing this out. Great stuff! Makes me want to make a movie. 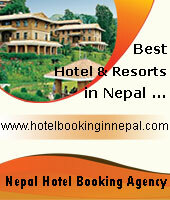 Dhaulagiri 1960-2010: 50 years anniversary special. (MountEverest.net) It was expected to become the first 8000er “conquered” by man. But in 1950 French pioneers decided that Dhaulagiri was impossible to climb. It would take another ten years, five failed attempts, and climbs of all nearby giants before an Austrian team proved the French wrong. 1. A broken glacier at the foot of the mountain with loads of fresh snow covering crevasses. Piotr Morawski fell to his death in one of them last spring. 2. Upper traverses on hard ice. Mostly unfixed (large teams are not so common on Dhaula), they allow no mistakes. 3. A long summit ridge with no clear top. 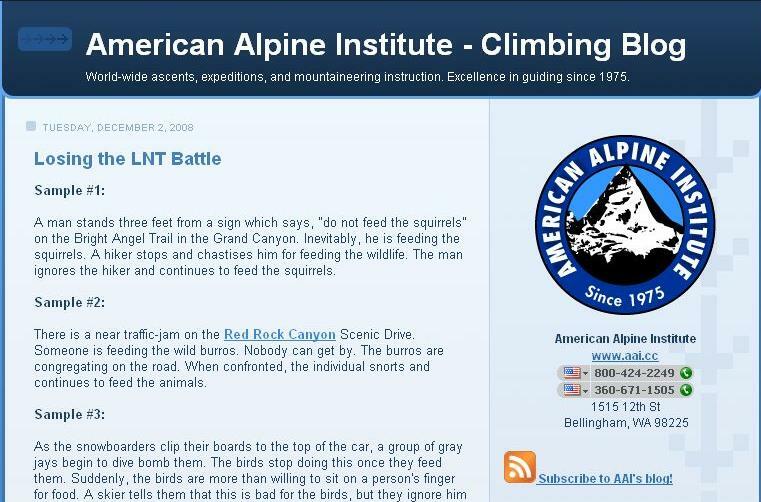 Controversial summit claims occur almost every year. A big Korean team led by highly experienced Sherpas in 2005 was just one issue. Nives Meroi and Romano Benet, who actually climbed above the Koreans that time returned to the mountain the following year and traversed the entire ridge just to make sure. 4. Overall exposure to major snow storms and high avalanche risk. Located in central Nepal, Dhaulagiri is separated from Annapurna by the deep Kali Gandaki gorge. Like Annapurna and Manaslu; Dhaulagiri is prone to deep snow and avalanches from its upper sections can reach long distances. Three years ago Gerlinde Kaltenbrunner survived an avalanche which buried her tent and killed two other climbers. Ginette Harrison and Chantal Maudit were both lost in avalanches on the mountain. Dhaulagiri holds a fatality rate remarkably higher than Everest and has claimed many top climbers with numbers added almost every year. Only a handful made the summit last spring, while the two fall expeditions were unable to get even close to the top. There are several partial ski-descents but Dhaulagiri still awaits its fist complete sky-run. The south and west faces sport 4,000 meters drops and the south face is waiting for someone bold enough to surpass Tomaz Humar’s footprints: the Slovenian climber, recently perished on Langtang Lirung, astonished the climbing community with a solo climb there in 1999 that however didn’t reach the top. Dhaulagiri was first climbed in 1960 by a Swiss/Austrian team led by Max Eiselin. 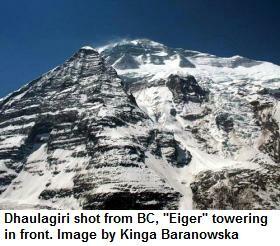 Kurt Diemberger (in his second 8000er first ascent! ), Peter Diener, Ernst Forrer, Albin Schelbert, Nyima Dorji and Nawang Dorji summited May 13 via the NE ridge, which has since become the normal route. Other firsts included Japanese Takashi Amemiya who, in his second attempt, bagged the fist ascent via the southwest ridge in spring 1978 but lost a team mate. Czech/Slovak trio Simon, Jakes, and Stejskal opened the west face in 1984; Simon perished on descent. The first winter climb was achieved on January 21, 1985. The Polish ascent was led by Jerzy Kukuczka. 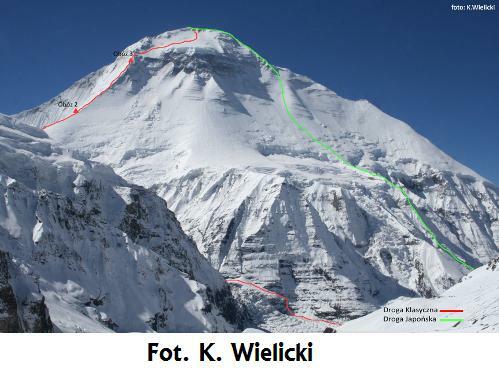 – Kinga Baranowska the first Polish woman climber to reach the Summit of Dhaulagiri.